For over 1,000 years people used to think the Earth was the center of the Universe, not unlike how many companies still think the corporate brand should be the center of their marketing messages. 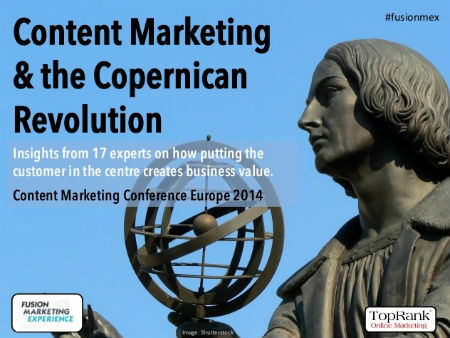 As with Copernicus’s 16th century observations about the Earth moving around the Sun, modern marketers in Europe and all over the world are realizing that the customer is at the center for content and messaging, not just the brand. Some companies, agencies and consultants have made significant progress in this view of content marketing and we reached out to a number of them that will be presenting at the upcoming Content Marketing Conference Europe. The question? We asked: What is one of the most important ways content marketing creates value for customers? There are many types of content a business can create to attract, engage and convert customers: Evergreen, Repurposed, Curated and Co-Created. Of those content types, curated content offers numerous benefits that many companies are not taking advantage of. While content curation has grown in popularity since we first started writing about it in 2010, the question remains: Does it belong in your digital marketing mix? The practice of collecting and filtering information and then adding value to it has been around a long time. Classic blogging often follows this “oreo cookie” format of sandwiching an excerpt of someone else’s information with your own. Doing so on a continuous basis is content curation and is as old as blogging itself. Integrating content across channels of discovery and engagement like social networks is an important part of optimizing for the customer experience. In fact, according to the 2014 Social Media Marketing Industry Report, 83% of marketers stated they have integrated their social media and traditional marketing activities. Social Media contributes to all aspects of the customer journey, so integrating social media marketing with overall online marketing efforts just makes sense if you want to connect the dots for customers from education to action. But how? What is new when we talk about social integration? What is key to the integration of social media with the other online marketing efforts? The thunder clap of Google’s Matt Cutts’s Twitter post could be heard across the web this week with the announcement of the search engine’s latest update, Panda 4.0. 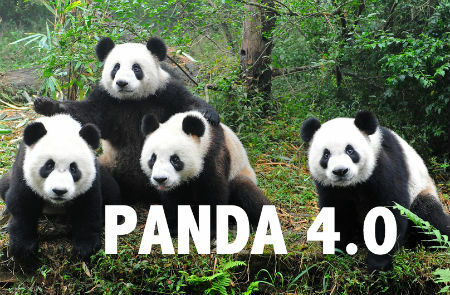 Of course the type of Panda I’m talking about isn’t a cute bear from China. It’s the name of an algorithm used by Google to filter out low quality content from search results. The first Panda update in Feb, 2011 was fairly aggressive, affecting about 11% of queries on Google and millions of searchers. 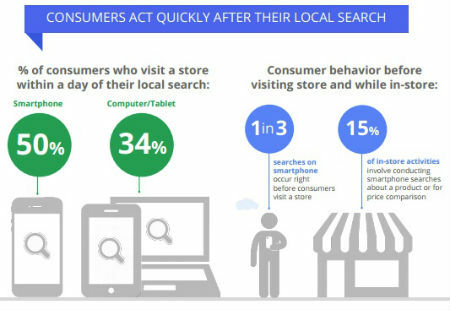 Panda also had an impact on more than a few website owners who fell from the search results like hail from the sky. Barry Schwartz at Search Engine Roundtable reports that this most recent Panda update is expected to affect 7.5% of English search queries and with 12.5 billion searches per month on Google, that could be a pretty big storm for the SEO world. Mike Stelzner over at Social Media Examiner has published the 6th Annual Social Media Marketing Industry Report based on a survey of over 2,800 marketers. It’s a pretty robust report at 50 pages and covers the gamut of social media marketing topics from the most important social platforms for marketing to the most important social content types to the ways marketers will be changing their approach to social media in the future. 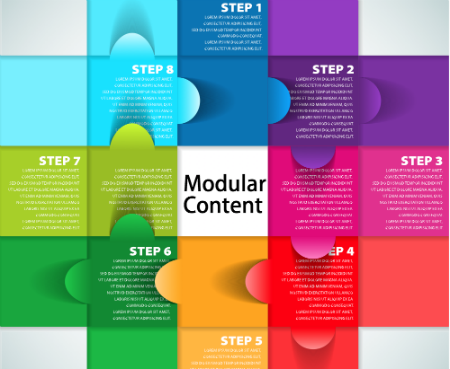 There are many content types and tactics for content marketing. Each has it’s place. Each offers unique benefits. For example, you could take a long eBook and turn it into 4 blog posts, leverage for a newsletter and excerpt it in an article submitted to an industry publication. Or you could take a speech heavy video and transcribe the text into a blog post, using screen shots for the images. You could also modify content for different target audiences, which is a form of repurposing that is more about personalization than just getting extra mileage out of your content. After creating your “reimagined” content, the common next step is to deconstruct it into micro-content for social sharing. What Makes a Business and Marketing Conference Great? According to the Convention Industry Council (pdf), in 2012 there were over 1.8 million business meetings, events and conferences held in the US attended by 225 million participants generating over $280 billion in spending. The volume of participants has grown 10% since 2009. Clearly, the business conference industry is booming. The number of marketing and communications conferences alone is overwhelming compared to when I started attending and speaking at conferences in 2005. Attending and speaking at business, marketing and client user conferences is a big part of our marketing and while there are changes with so many new, niche events popping up, I don’t think our conference participation will change. The challenge is, with so many conferences to choose from, which events provide the best return on investment? What makes a great business conference? Numerous journalists are jumping the newsroom ship to “brand storytelling” as content marketers and an increasing number of public relations firms are evolving as integrated marketing communications agencies. As more companies adopt content marketing and integrate their marketing activities across owned, earned, shared and paid media, there’s an opportunity for marketers to tap into the expertise of the PR world. PR is a grossly underutilized strategy for marketers and presents a unique means to evolve from Stasis to Storytelling on the Content Marketing Continuum. According to a content marketing study by Content Marketing Institute and MarketingProfs, the top challenges for content marketers include: Not producing enough content, not creating content that engages, not producing a variety of content, lack of integration across marketing channels.